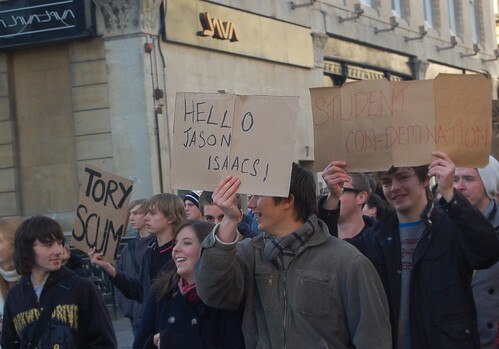 It is really important that you observe all relevant regulations when you produce your film/trailer. One of the toughest will be ensuring your music/soundtrack is legal… and sad to say, this does mean you can’t just drop any old track from your fruit-based music player into the mix. 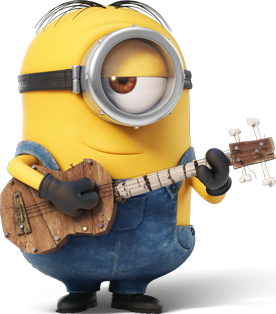 You must source (or create/compose/record/mix) your own music. To make life easier for you, there are a number of sites that offer free and legitimate music you can use and these are listed below. You will need to do some homework on these by searching and listening to an awful lot of music to find tracks that will enhance your film… because sadly, there is a fair degree of pretty dire music on these sites! Make a careful note of the terms and conditions of use (ie: download/save a copy of them)— most of these simply require that you give an appropriate credit in your film, but read the small print carefully. Some of the sites need you to create a verified account, and at least one requires you to apply for a (free!) 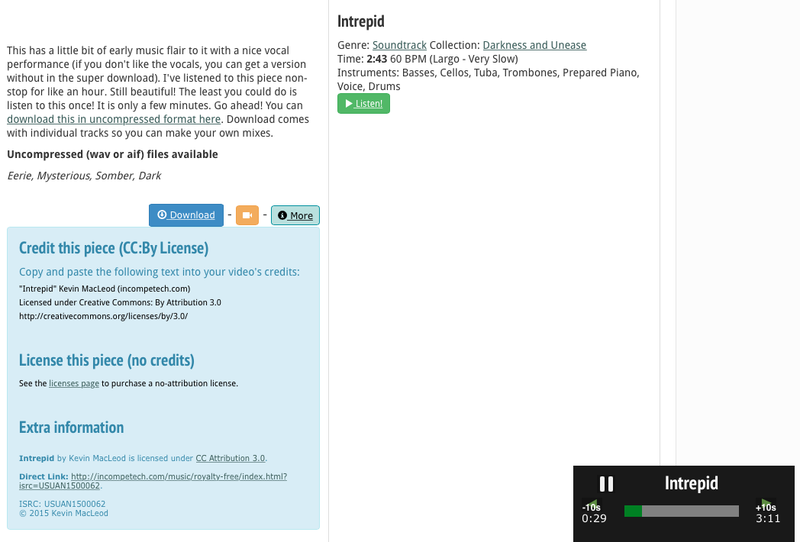 licence to download and use the music. 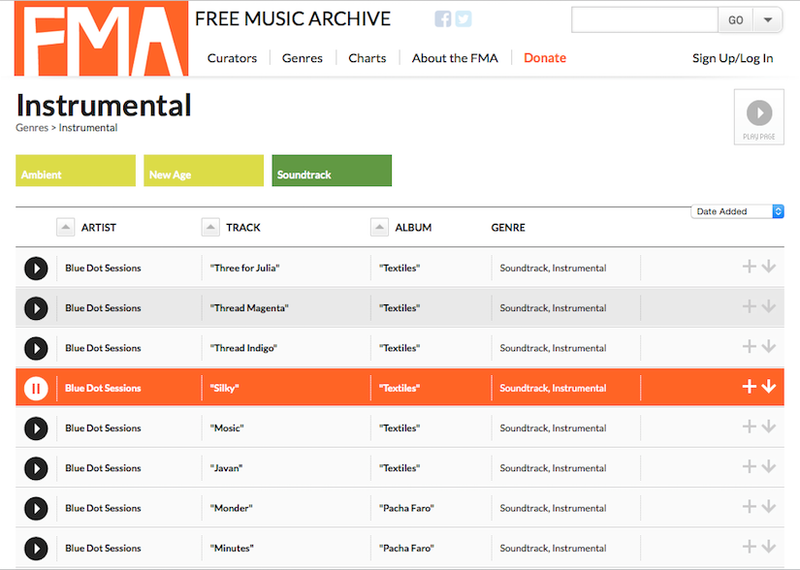 The Free Music Archive is a much more eclectic mix with many more non-western music tracks. These could be perfect for creating an eerie atmosphere, or for suggesting a different location. If you scroll down the page slightly, you will find Genre categories that can narrow down your search to a specific style of music… but I’d encourage you to think out of the box as some of the most effective uses of music in film happen when you are more creative in your choices. Sound Bible is great for one thing: Sound effects. 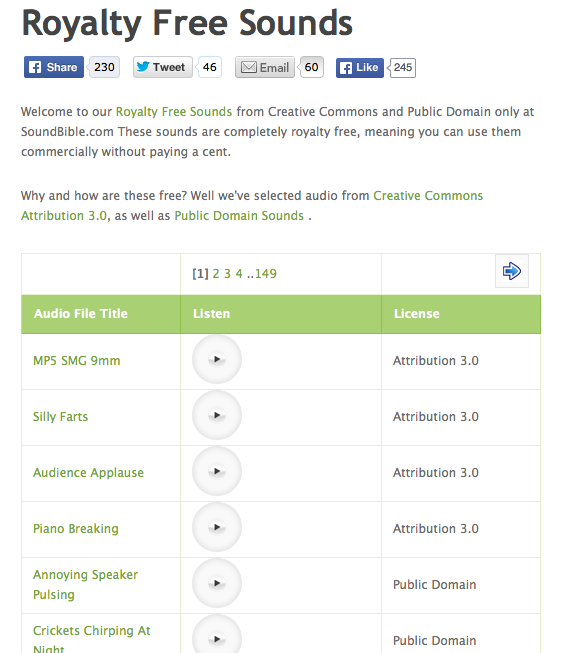 Lots and lots of lovely sound effects which are free to use (and see my earlier post on the use of foley sound to appreciate how important these are). 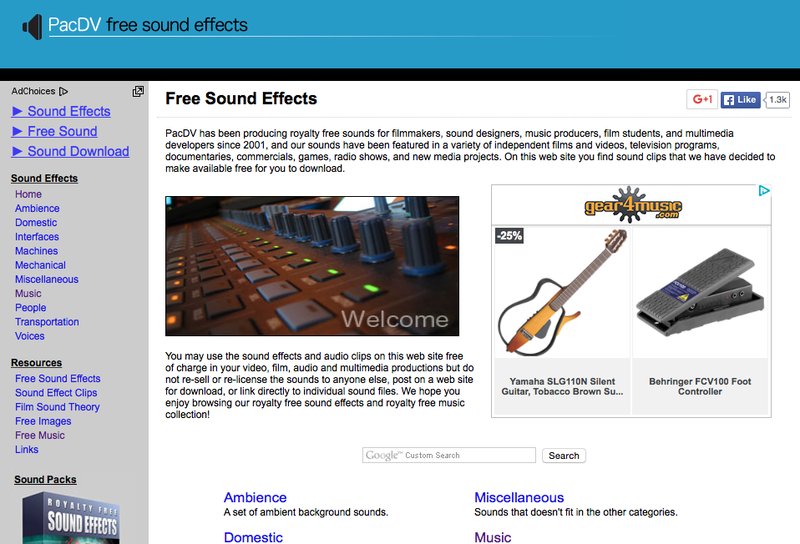 PacDV produces free music, sounds, voices, and so on. Limited selection, and they will try to sell you stuff, but the free tracks are better quality than most. 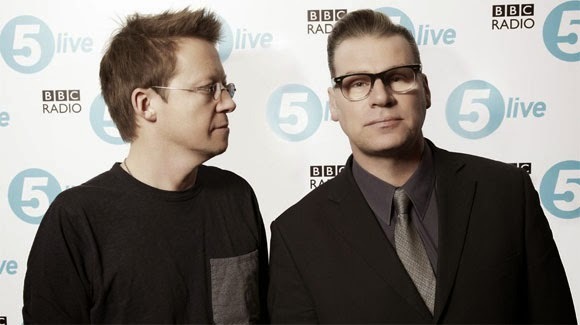 If you’ve heard of Moby, this one could be perfect. 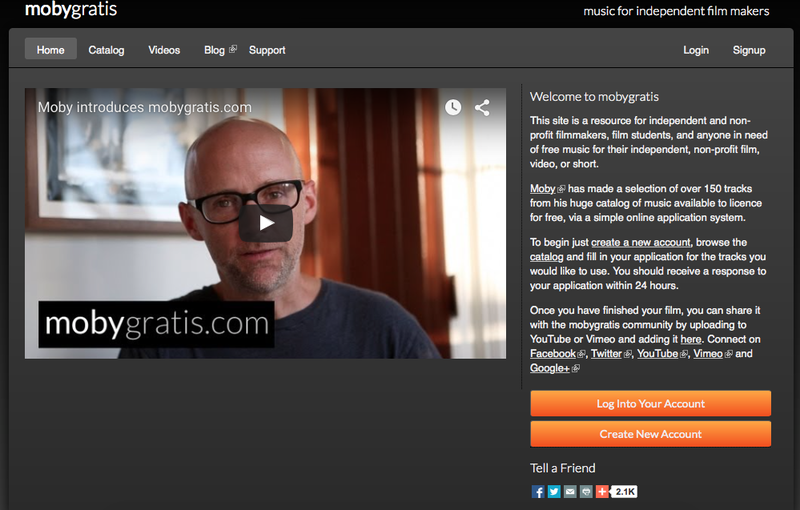 MobyGratis is his attempt to support upcoming film makers and students. He has made over 150 of his tracks available for you to use in your projects… but read the conditions carefully! You need to apply to use the track(s) so you need to have selected them in plenty of time to get clearance… and no, you can’t just apply to use all of them! You need to apply for specific tracks. That said, he also encourages you to upload your finished product to share with the world… which is a pretty nifty means of gaining an audience. Go for it!